The Niger Delta militants have warned Fulani herdsmen to steer clear of of the region. They also vowed to deal with any Niger Delta governor who allowed cattle colony. 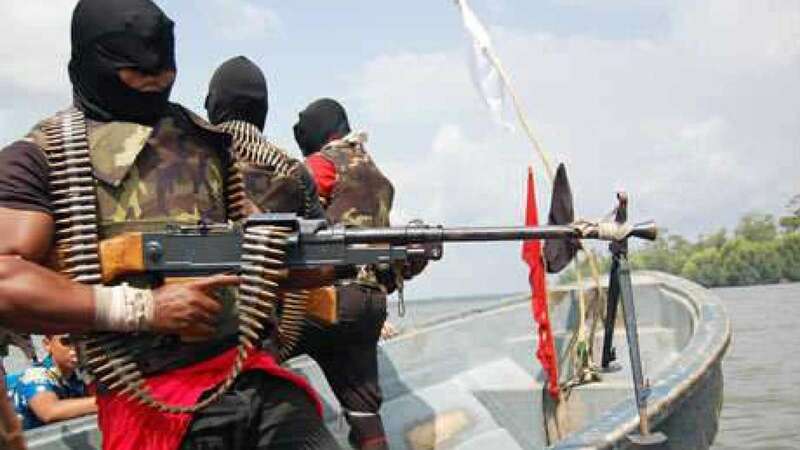 The Coalition of militants gave the warning yesterday in Port Harcourt Rivers State while listing a number of oil fields and installations as targets for resumed attacks if the Federal Government failed to address specific grievances agitating the region. The militant groups gave the Fulani herdsmen one month to the vacate the region or face dire consequences. Those that signed the resolution included, John Duku (Niger Delta Watchdogsand Convener, Coalition of Niger Delta Agitators; Ekpo Ekpo (Niger Delta Volunteers), Osarolor Nedam (Niger Delta Warriors) and Simply Benjamin (Bakassi Strike Force). The groups gave the Federal Government a 90-day ultimatum to implement restructuring and resource control, return oil blocs in the region to the Niger Delta people and ensure relocation of the oil & gas companies headquarters to the region. It said, “Otherwise, there would be no one Nigeria. We shall officially declare Niger Delta Republic after 90 days, if the Federal Government fails to implement the above demands. “We also demand that all the Northerners living in the Niger Delta to quit the region if the Federal Government fails to implement the above demands within the stipulated time. “We also call on our people living in the North to also return to the Niger Delta for their safety. “The massive killings all over the country by Fulani herdsmen are fully sponsored by top government functionaries, especially the security chiefs, who supply them with weapons with sole aim of achieving cattle colony and Islamic agenda. “The idea of having cattle colony was already in the mind of President Buhari before he contested the 2015 election. The whole world can now see the reason he appointed all security chiefs from the North, including DG of NIA, who is supposed to be replaced by someone from the South. “The Coalition believes that the killings by the Fulani herdsmen are direct invitation to civil war and we are fully prepared to fight with the last drop of blood to protect the Niger Delta people and her territorial environment. “The Coalition also condemns the endorsement of the President as APC candidate for 2019 election by some self-centered governors and politicians. Those calling on President Buhari to seek re-election are the real enemies of Nigeria. “A government that launched ‘Operation Crocodile Smile I & II’ in the Niger Delta, despite the peaceful atmosphere, in the region. “Operation Python Dance I & II” in the South East destroyed people and properties just to silence IPOB and further declare a non-violent IPOB as terrorist organization. “It would suddenly turn deaf ears on terrorist activities of Fulani herdsmen taking place all over the country on daily basis. We shall no longer tolerate any further bloodshed within the Niger Delta states by the terrorists Fulani herdsmen. “We shall ensure that our people are protected from every Fulani terrorist; it is very unfortunate that the government that swore to protect the lives and properties of its citizens has suddenly become sectional government, and lacks powers to protect the masses.